A new group is being set up for superyacht suppliers. New Zealand is now on the radar of owners and skippers of some of the largest and most expensive superyachts in the world generating tens of millions of dollars every summer. But the new organisation, the New Zealand Superyacht Group (NZSG), says there's a risk of missing out on business if there's not a co-ordinated push. One of the group's organisers, Duthie Lidgard, said close to 20 members had been signed up. "We all want the same outcome, we all stand for the same cause, we all want to work together and we will remain at all times 100 per cent superyacht-focused for growth and the survival of this marine market within New Zealand and exports to the world," Lidgard said. Members are worried the umbrella group for the entire industry, New Zealand Marine, is too stretched to cater to the specific needs of the superyacht sector. "They represent fizz boats to sail boards to super yachts - it's all too scatter gun," he said. While the group was not primarily about attracting superyachts, it was intended to ensure their New Zealand experience was a positive one - from a New Zealand manufacturer exporting products around the world to services offered within this country. "The terms, 'She'll be right mate', no longer works in a luxury or any service-supply market. Ensuring a high standard of service and professionalism is provided during the visiting of the yachts is paramount, with one client leaving with a bad taste in their mouth a fail." During the past year 57 superyachts (24m plus in length) visited New Zealand, up 20 from the previous year. "Our marinas are near capacity with these numbers. Marinas are being built around New Zealand but unfortunately no additional berthage for the larger superyachts over 60m," said Lidgard, managing director at Asia Pacific Superyachts NZ. One group member, Gregg Kelly of Fastmount, said the formation of the NZSG arrived at a perfect time. 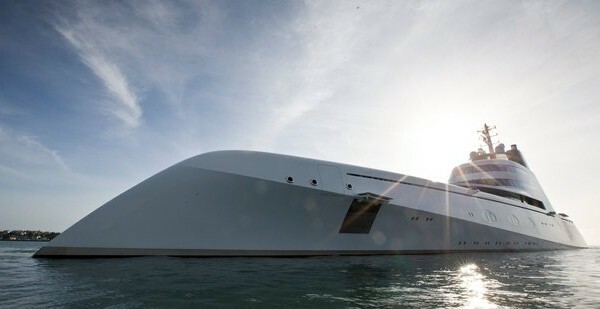 "Superyacht construction has suffered severe reduction in its potential over the last two years with the closure of several top yards," Kelly said. "New Zealand needs a group that's focus is solely aimed at this important part of the marine sector." He said a high New Zealand dollar for the past few years hadn't help the superyacht building industry, but neither had it helped itself. "They were at the top of the game...but during the global financial crisis the rest of the world caught up and we didn't move on. Building yards developed refit yards in other countries," said Kelly, whose company makes fasteners for fixing panels to superyacht interiors. Another supplier, The Produce Company, sells fresh goods to superyachts throughout the Pacific and says a dedicated group would help. "We have tried for many years at differing government levels both in NZ and abroad to improve efficiencies that comply with biosecurity and individual countries' rules. A collective voice will hopefully improve market access," said John Stokes, the firm's export manager and director. NZ Marine chief executive Peter Busfield said his organisation had worked hard for the superyacht industry and aimed to have 74 visit by 2018. The Government changing its sales tax rules to allow foreign flagged yachts on a temporary import entry to New Zealand to purchase equipment and services, that will be added to the boat prior to departure, free of the 15 per cent goods and services tax. The Government changing the period of time a foreign flagged yacht, on a temporary import entry to New Zealand, can stay from 12 months to 24 months. Identifying to local councils in several regions the potential business from providing superyacht berthage. This led to it being instrumental in retaining the zoning for marine industry activity in the high profile Wynyard Quarter on the foreshore of Auckland's CBD.